Indian Space Research Organization (ISRO) conducted the test trial of its Reusable Launch Vehicle (RLV-TD) on 23rd May, 2016. The success of this test is expected to bring down the cost of all future satellite launches considerably. ‘Cost-efficiency’ has been the distinguishing factor for all major ISRO missions till now, including the Moon and Mars missions that were executed at a fraction of the cost of similar missions executed by other prominent space agencies of the world (such as the US-based NASA). ISRO might not have been the pioneer in launching Moon and Mars missions or launching an RLV but credit goes to it for executing these missions for much less cost than the other space powers of the world. Some of the pioneers of space science research in India were C V Raman, S K Mitra and Meghnad Saha. However, space studies in India got nation-wide attention only in the 1940s and 50s. At that time, our country was more concerned about studying various aspects of Earth’s atmosphere and magnetic field and it uses for weather prediction. In 1962, the then Prime Minister Pandit Jawaharlal Nehru and the renowned scientist Vikram Sarabhai established India’s first space research centre, which was known as the Indian National Committee for Space Research (INCOSPAR). One of the prominent achievements of INCOSPAR was to launch the first rocket of India in November 1963. In 1969, ISRO superseded INCOSPAT and became the premiere space research centre of India. During this time, the Government of India also came up with the Space Commission which formulates policies for India’s advancements in space and the Department of Space (DOS), which is related to research and execution of space-related enterprises. Over the last 47 years since its establishment, ISRO has developed several new technologies, improved upon existing technologies, and launched several indigenous space vehicles. *1975: India launched its first satellite, Aryabhata, using a Russian rocket. It became the basis of our learning about satellite technology and designing.Along with NASA, ISRO also developed a system that allows us to use space communications system for TV broadcasting. It was called the Satellite Instructional Television Experiment (SITE). This one-year program focused on experimenting how satellite broadcasting can be used to educate the masses in rural and urban India. * 1976-77: Building upon the SITE project experience, the Satellite Telecommunication Experiments Project (STEP) was launched to use the satellite technology to improve domestic communication systems. *1980: India became the sixth nation in the world to successfully launch an indigenous satellite vehicle. The SLV-3 launched from Sriharikota range in Andhra Pradesh placed the Rohini Satellite (RS-1) in orbit. 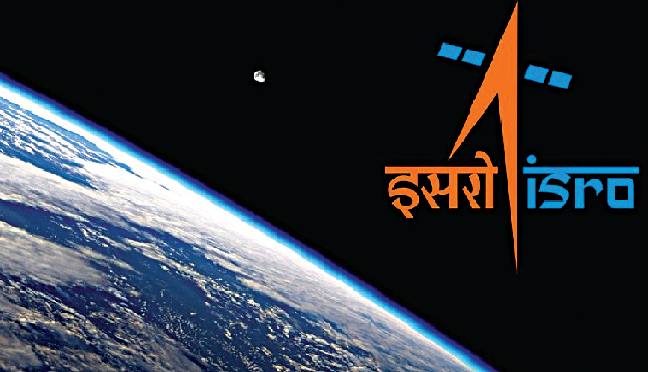 *1983: Based on the SITE and STEP programs, the Indian National Satellite System (INSAT) was launched. It was focused on services like broadcasting, weather forecasting, telecommunications, and rescue operations. Over the decades, a number of INSAT satellites have been launched into space – making it the largest domestic communications system in the Asia Pacific. *1984: Rakesh Sharma became the first Indian citizen to go into space aboard the Soviet rocket Soyuz T-11. It was the first Indo-Soviet manned mission and has a 3-member crew. The other two astronauts on the mission were Russian. *1987: From March 1987 onwards, four developmental flights were made under the Augmented Satellite Launch Vehicle (ASLV) Programme. It was meant to be more affordable and to support a larger payload than SLV-3. *2008: ISRO launched its first lunar mission. The spacecraft Chandrayaan took off from the Satish Dhawan Space Centre in October 2008 and was operational till August 2009. The greatest achievement of the project was to discover presence of a large number of water molecules on moon. ISRO is now working on the second lunar mission called Chandrayaan 2, which has been scheduled for 2018. *2014: ISRO is the fourth space agency in the world to reach Mars. This year, it launched Mangalyaan (also known as Mars Orbiter Mission or MOM) – the first-ever interplanetary mission of India. This mission also gained a worldwide applause for being the most cost-effective mission of its kind. *2016: Recently, India tested its first indigenous Reusable Launch Vehicle (RLV) space shuttle, which is another milestone in the frugal space technology research for which India is recognized for. RLVs will bring down the cost of launching satellites considerably in the near future. Why is RLV such a big achievement? Many other major space powers are developing RLVs and are at different stages of development. Still, the test launch of the RLV has given India a significant edge in the global satellite launch market. This is a notable achievement, especially because ISRO’s missions are often seen as unnecessary burden on the economy of a country which is still struggling to provide its citizen most basic amenities. *GSLV (Geostationary Satellite Launch Vehicle). PSLV is older and has seen about 30 successful launches. It can carry satellites that weigh up to 1,500 kg. On an average, construction of a PSLV costs Rs 120 crore. Its heaviest version was PSLV XL, which launched five British satellites in July, 2015. Its cost was around Rs 145 crore. On the other hand, GSLV has seen four successful and four unsuccessful launches since its inception in the 1990s. According to the Department of Space, a GSLV costs around Rs 173 crore. The latest version of GSLV, known as MK-III, is currently under development. It is expected to be able to carry very heavy satellites (weighing up to 4,000 kg) all the way up the space. The development cost of MK-III is around Rs 3,000 crore. According to ISRO, 80 per cent cost of the launch vehicles is structural while only 20 per cent is spent on fuels or expendables. RLV can help save the structural costs by 10 times, as their body can be used for future missions too. The actual savings can only be calculated when it is known for sure how many missions a single RLV can handle. At present, Rs 95 crore has already been spent on the development of RLV. Its final development cost will be revealed when it will become operational in about ten years’ time. It took five years for the team of 600 scientists at the Vikram Sarabhai Space Centre in Thiruvananthapuram to build the RLV. At present, the RLV model is 6.5 metre long, and can launch 1 kg of mass in space for about $20,000. The final version will be about 40 metre long (six times than the present model), and is expected to take off around 2030. It will carry Indian astronauts too. To launch the spacecraft at Sriharikota, a nine-ton rocket engine was designed to vertically lift the winged body to an altitude of 70 km, after which it took off on a free-gliding flight. Its initial velocity was five times the velocity of sound. It landed about 500 km from the launch-site, in the waters of the Bay of Bengal. The ISRO says the much-cheaper RLV might replace PSLV in about a decade. GSLV might be operational for a few more years. While GSLV ISRO’s argument is that it will be substantially cheaper than the PSLV which it is likely to replace. The GSLV will have to operate for a few more years. From 1999 to 2015, ISRO had launched 45 foreign satellites, earning about 700 crore rupees. ASTROSAT, which was launched on September 28, 2015, along with six other satellites on board PSLV – C30 put revved up India’s scale beyond the 50 mark. However, the US, European and Russian space agencies are still far ahead of ISRO’s achievements. The RLV will offer a cost advantage that might boost its popularity internationally. ISRO was established in 1969 and its list of achievements is much shorter than NASA but it has still played an important role in the international space community. It has several bilateral and multilateral agreements with Indian as well as foreign clients, and has several field installations that serve as its valuable assets. It has been successful in fulfilling its primary purpose of using space technology for the socio-economic benefit of our country. ISRO’s MOM gained media highlights worldwide as its cost was just 11% of NASA’s Mars Mission. After the Russians, Americans, and Europeans, India’s Mangalyaan is just the fourth artificial satellite placed in the orbit of Mars. The cost of the mission was just about 450 crore rupees or $74 million, as against MAVEN Mars Orbiter of NASA that had cost around $672 million or over 4,530 crore rupees. NASA’s MAVEN and ISRO’s Mangalyaan were launched around the same time and reached the orbit of Mars at a difference of just two days. There is a big difference between MAVEN and Mangalyaan though. MAVEN is a full-fledged satellite with 65 kg of scientific instruments. It is larger, and its launch mass was over 2.5 tonnes. Mangalyaan, o the other hand, is a tech demo, carried just 15 kg of scientific instruments to test the atmosphere and surface of the Red Planet, and weighed just about a tonne. Even when you consider all these factors, Mangalyaan turns out to be the cheapest-ever Mars Mission that has been accomplished yet. The other thing to note that before ISRO, only ESA had been able to reach Mars on its maiden attempt. The recent launch of RLV by ISRO is distinctive too, as no other country is flying a winged spacecraft into space right now. Russians flew their space shuttle just once in 1989, and the US space shuttles retired in 2011. Many countries approach ISRO to launch satellites to Low Earth Orbits (LEOs), including France, Germany, Norway, Denmark, Israel and Italy. It is because PSLV is much more cost-effective and reliable. Its recent achievements have put ISRO at the centre-stage of the global space technology and continue to create a niche for India.